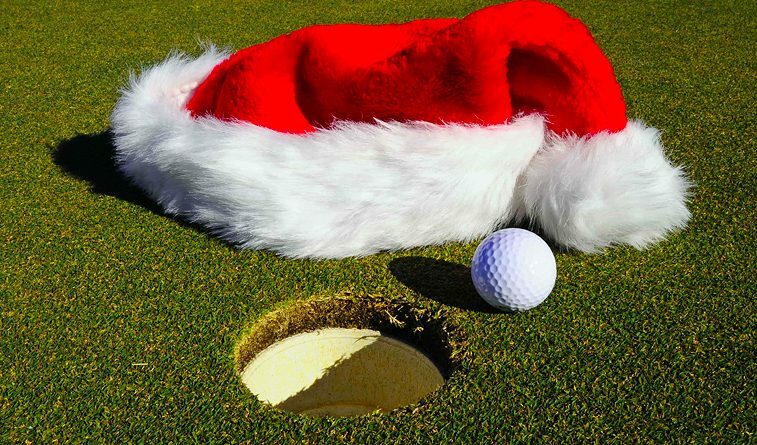 Perplexed what to buy for a golfer on your gift list? Here are a few suggestions of items we like and hope to find in our Christmas stocking. They cover a range of prices and each will be a welcomed expression of your feelings this season. 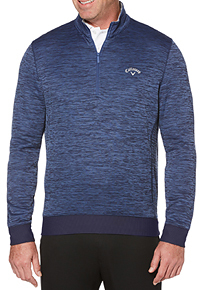 Callaway Pullover: Cool weather golf can be lots of fun and if your round requires wearing something warm the Men’s Dual Action 1/4 Zip Pullover from Callaway Apparel is the answer. The insulated thermal fabric with a weather repellant barrier, both 100% polyester, make it an effective lightweight protection to water and wind. The price is nice too at $75 and there’s a choice of five colors: Caviar, Medium Grey Heather, Peacoat Heather, Blue Coral Heather and Castlerock Heather. Stability Shaft: For 50+ years, the putter shaft has not changed; historically it has been a simple steel pipe. Yet head designs for putters have evolved and gotten dramatically heavier. This has resulted in shafts that are not stable or strong enough to keep these heavier, advanced putter heads from oscillating, twisting and turning. In fact, the strongest part of the putter shaft is under the hands, where it does the least good; the weakest part is near the club head. Why would any golfer trust their putter to an inadequate steel shaft if they had a better option? After all, golfers use their putter almost twice as much as any other club. Introducing the Stability Shaft from Breakthrough Golf Technology. Breakthrough Golf uses scientifically advanced multi-material design with geometries never before used in a putter shafts. The Stability shaft has a unique look and a more solid feel than a traditional steel putter shaft. The performance of the shaft was exhaustively tested with hundreds of putters using state-of-the-art high-speed cameras, robots, SAM Putt Lab, Quintic Ball Roll software and Trackman4. The result was to re-invent the putter shaft from the ground up. The company sent one our way and the feel is excellent. You won’t leave as many putts short and the shaft allows you to concentrate on the line and not worry as much about the speed. 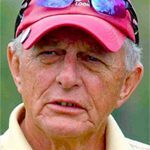 Club Champion Fitting: It only makes sense to play with golf clubs suited to your game and the place to go for a fitting just like players on the PGA Tour receive is Club Champion. 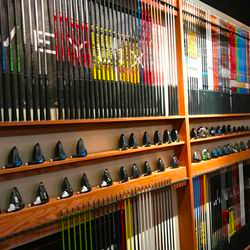 They are the largest club fitting retailer in the U.S. and endorsed by Jordan Spieth, Hank Haney, David Leadbetter and Cameron McCormick. Full bag fittings completed through Jan. 31, 2019 are half price at $175 and there are savings for driver, putter and iron fittings as well. Purchase of clubs is not required and gift cards are available. Call 888-349-7820 or visit their web site. ECCO Biom for Men: The latest updating in the BIOM line, ECCO BIOM Hybrid 3 GTX has an all new Tri-Fi-Grip outsole designed with three zones of performance for enhanced stability, durability and rotation through the swing. 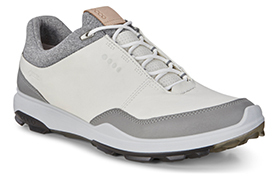 The GORE-TEX waterproof construction means should it rain your feet will stay dry and the ECCO Yak leather upper offers exceptional breathability. There are stylish color options, along with an option for BOA lacing. Priced starting at $180. Click on the link for more information. 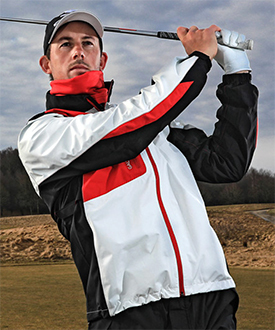 Galvin Green Jacket: Golfers will love the new Lloyd Interface-1 Full Zip Jacket from Galvin Green with its bold style combined with their lightweight and protective Interface-1 shell layer fabric technology. Completely windproof, water repellant and extremely breathable, the Lloyd boasts a modern design plus tech factors to keep your golf game and you looking top-notch. The Lloyd jacket is part of the all-new Carbon color series, a line of premium garments featuring a carbon color-inspired tone-in-tone design for a subtle and prestigious look. The Lloyd jacket is $500. 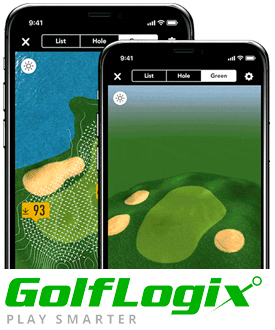 GolfLogix Putt Breaks: This game-changing smartphone app provides golfers with intelligent green maps that auto-orient based the user’s position. Putt Breaks gives an accurate green read with one touch, showing every slope and undulation of the green’s topography and how putts will break. A bird’s-eye view of green contours also helps golfers easily plan their approach shots and chart out chip shots. GolfLogix has also created a light sensitivity mode that allows you to see green details under any light condition. Free 30-day trial visit their web site. 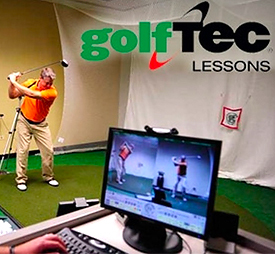 GOLFTEC Swing Analysis: Available through December 31, GOLFTEC is offering three holiday packages available at GolfTec.com. Gold ($395): 60-minute Swing Evaluation, three 30-minute lessons, three 30-minute practice sessions and one TECFIT club fitting session. Silver ($295): 60-minute Swing Evaluation, one 30-minute lesson, one 30-minute practice session and one TECFIT club fitting session plus 10% off all regular Lesson Packs and Game Plans and Free TECFIT club fitting with qualifying club purchase. 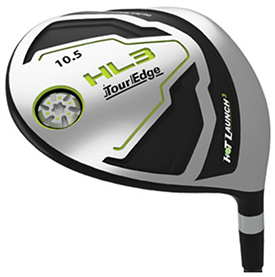 HL3 “To Go”: The Hot Launch 3 line of clubs from Tour Edge Golf has been a smashing success since introduction at the PGA Merchandise Show in January. 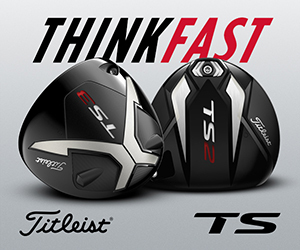 The combination of super game-improvement design and golfer-friendly prices made the HL3 line “…some of the fastest movers this year in market share growth” according to company president David Glod. Now for men, seniors and ladies they have put together HL3 “To-Go” sets with driver, fairway woods, combo irons/hybrids/iron-woods, sand wedge, mallet putter and cart bag for the package price of $999.99. New Balance Ladies Shoes: New Balance Golf has introduced a new line of women’s footwear for the 2019 season–Minimus WP, Minimus SL and 574 SL. The Women’s Minimus SL is built on the NL-1 last with a breathable mesh upper with the ultralight synthetic overlays. The lightweight—it’s only 6.6 ounces—spikeless shoe has the REVlite® midsole for real comfort walking the course and Ortholite® insole for cool, dry comfort. Priced at $69.95, there are four color choices. State Apparel Green Collar Shirt: A gift of style and for a good cause. Made from 79% recycled performance fabric, the Green Collar Shirt ($92) from State Apparel focuses attention on the workers who sustainably and responsibly nurture golf’s green spaces. 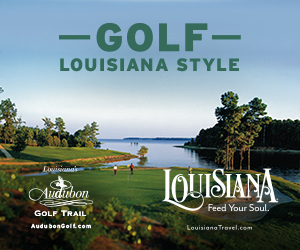 A portion of the proceeds will be donated to Audubon International Cooperative Sanctuary Program for Golf. 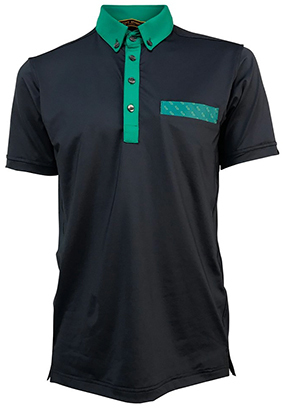 The shirt boasts a stylish contrast green collar and front pocket married with the soft, lightweight fabric provides maximum breathability and comfort designed for wearing from course to clubhouse. 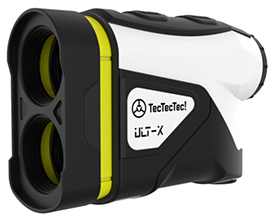 TecTecTec Rangefinder: The ULT-X-X according to TECTECTEC is the next generation rangefinder with loads of features for only $249.99. This laser distance measuring device has Target Lock Technology to lock on flags at up to 450 yards and hazards to 1,000 yards with 6x magnification. Accurate and simple to use the ULT-X vibrates when locked on the target plus there’s a handy scan mode for distances one after another. Rainproof and lightweight it even has a slope mode that turns on or off with one touch. Visit web site for additional information. Tifosi Enliven: Sunglasses are a must-wear on the course and the new Enliven line from Tifosi have a color enhancing lens that makes greens, blues and reds pop for a clear view. They are polarized of course and with a choice of colors and styles for any golfer. Priced at $49.95 per pair find out more at tifosioptics.com.